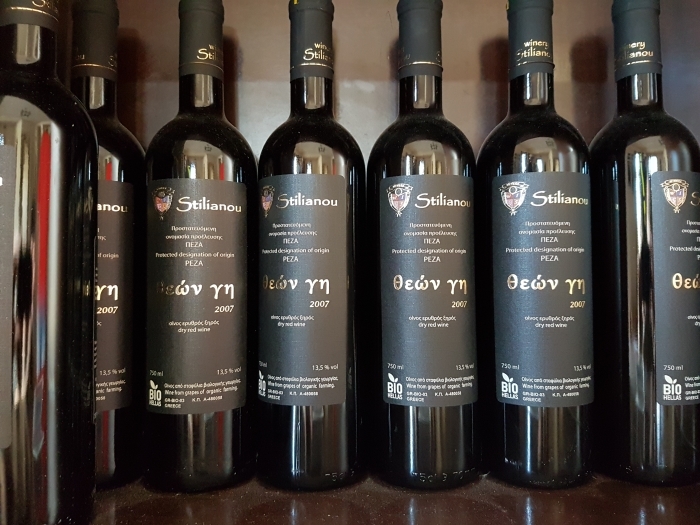 The Stilianou Winery near Knossos on Crete uses only Cretan grape varieties, with every bottle numbered, and aims for quality rather than quantity. 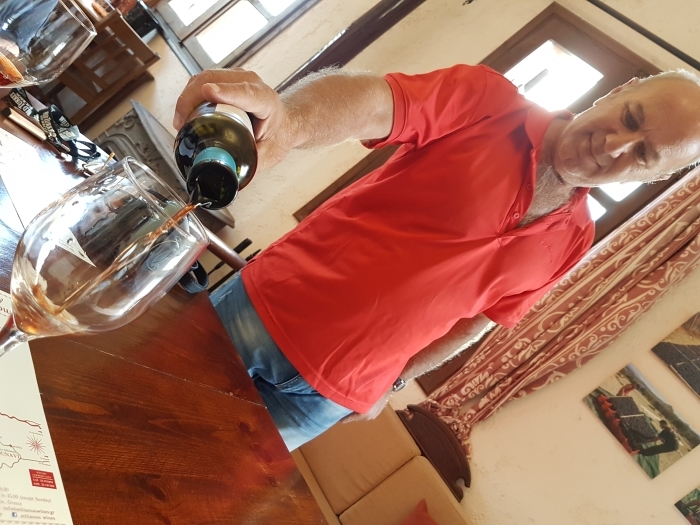 'I prefer to make small quantity but high quality,' Ioannis Stilianou tells us as we tour his winery outside the village of Kounavi. 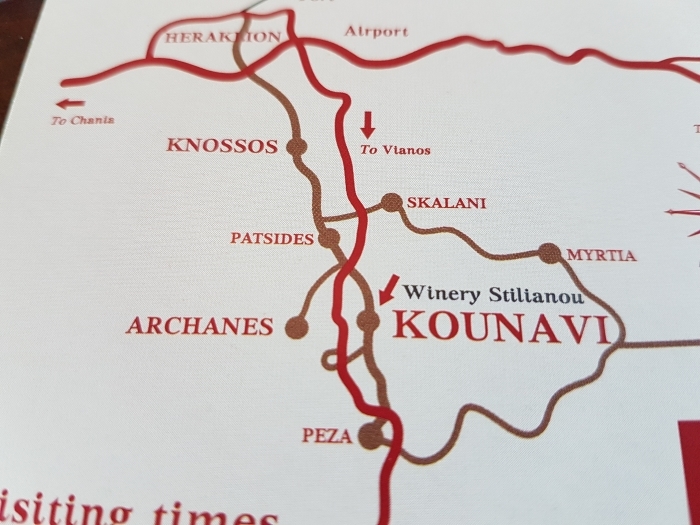 The village has a long association with wine-making, and no doubt people like Ioannis were making wine for the Minoans at the Palace of Knossos, which is a 15-minute drive to the north. 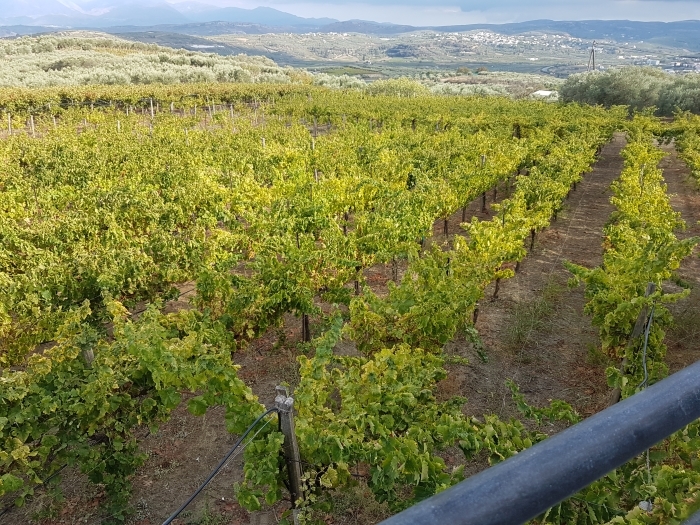 It's a very scenic drive too, and well worth making to visit this winery, which is signposted thanks to the brown signs being posted everywhere on Crete these days by the Wines of Crete organisation. 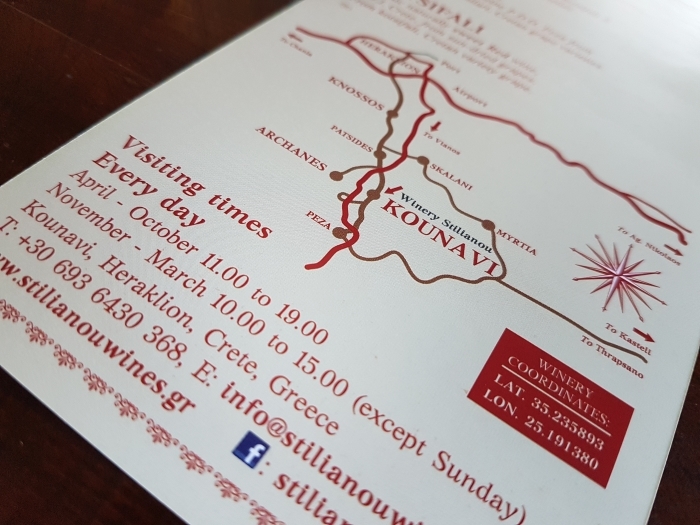 Cretan wine is booming, and touring wineries like Stilianou is increasingly popular. It was late afternoon when we arrived, the perfect time of day. Ioannis greeted us and we gazed out over his vineyards which stretch out below his winery to distant mountains beyond. 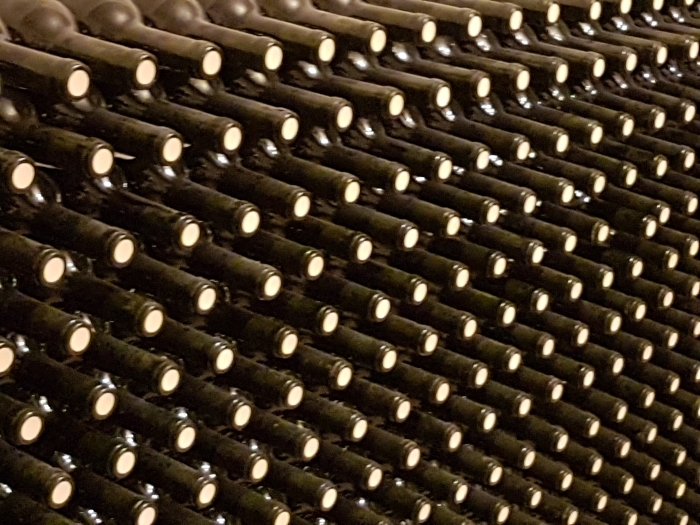 The vines cover seven hectares (17 acres) and produce 20,000 bottles a year, every one of which is numbered. 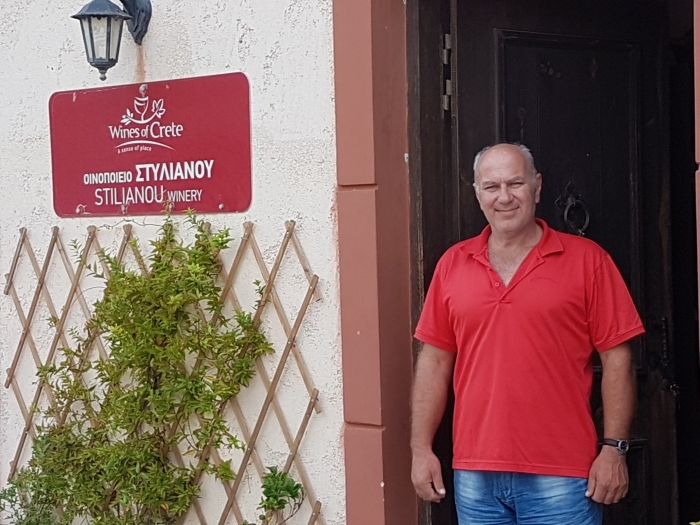 Ioannis is a gentle and quietly-spoken man, and clearly very content with his life, as well as passionate about making the best wine he possibly can. 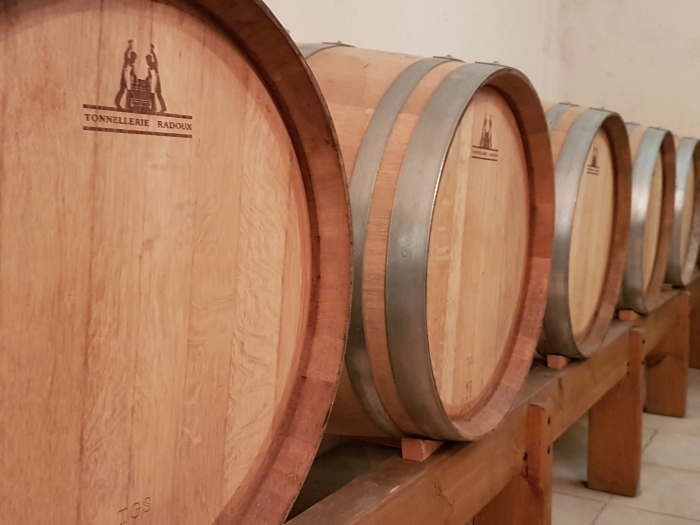 It's a wine you won't find available in shops on Crete, only at the winery and in several top restaurants, such as the fabulous Tamam in Chania. The winery is small and a tour doesn't take long. First Ioannis leads us into the cellar. 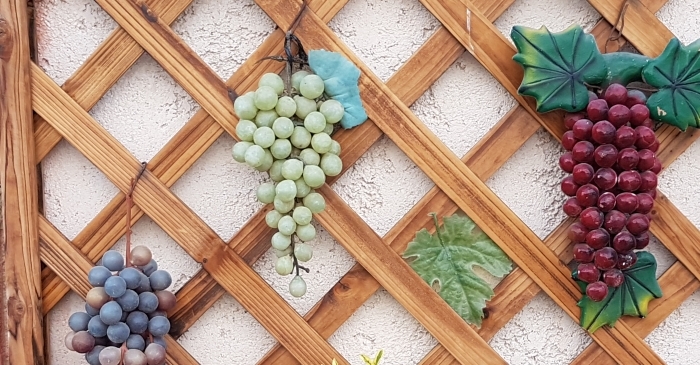 Ioannis makes one red wine, one white wine and one rosé, and a red dessert wine from sun-dried grapes, kotsifali grapes which first spend ten days drying in the sun. It's the same grape also used to make raisins. After seeing how the wine is made, we go back upstairs to enjoy a tasting of the wines. Ioannis serves us breadsticks and some of his own olive oil, which is wonderfully rich and thick. Next in line is the Theon Dora Dry Rosé, made from two other Cretan grape varieties: kotsifali and mantilari. 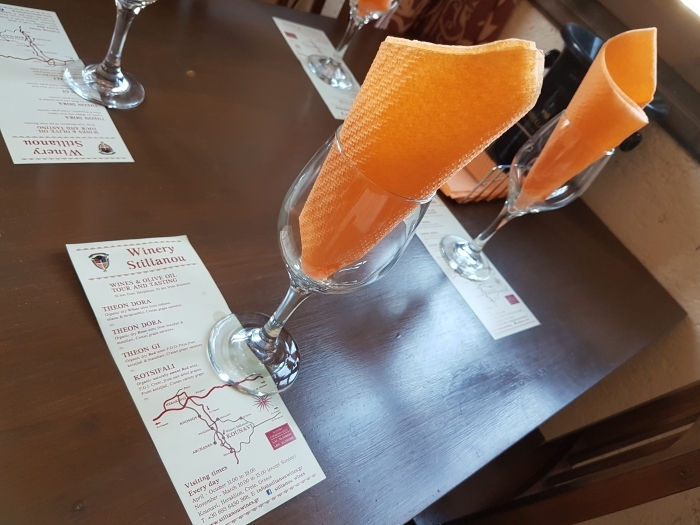 It tastes crisp yet fruity, and although it's a dry wine the flavours of apricot and peach lend it a certain natural sweetness too. It certainly is, and every bit as good as rosés we've had from Provence. 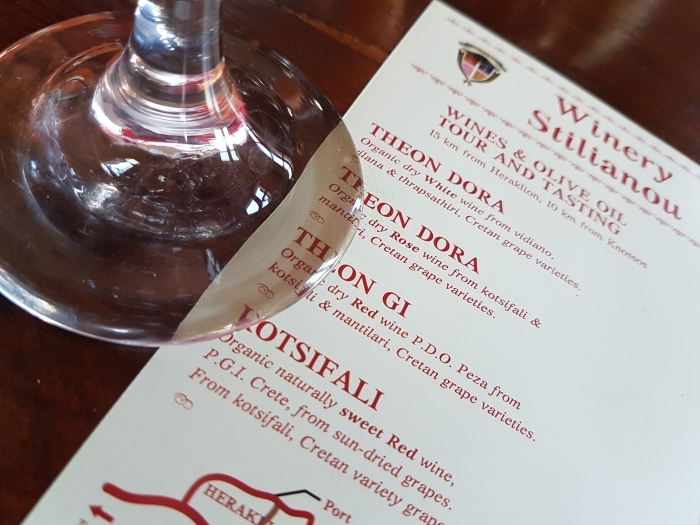 Ioannis then pours us each a glass of his Thion Gi Dry Red Wine. Finally we sample the dark red dessert wine, called simply Kotsifali. It's a lush and beautifully rich colour, with a taste to match. 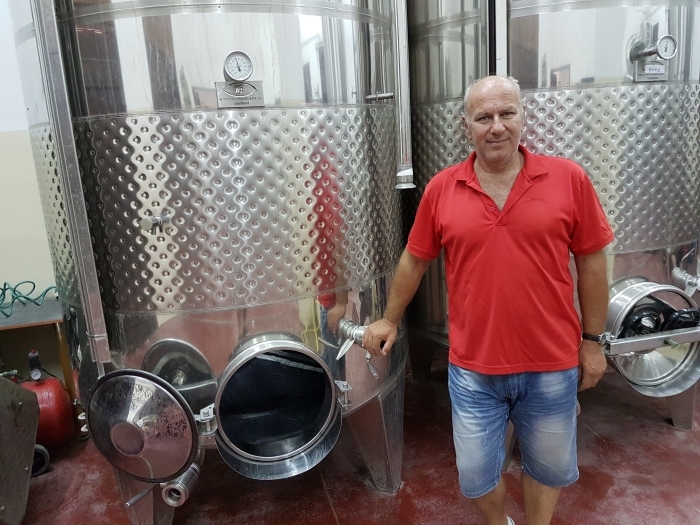 Ioannis is clearly proud of his wines, and so he should be. Little wonder some people on TripAdvisor have called this the best winery tour on Crete.